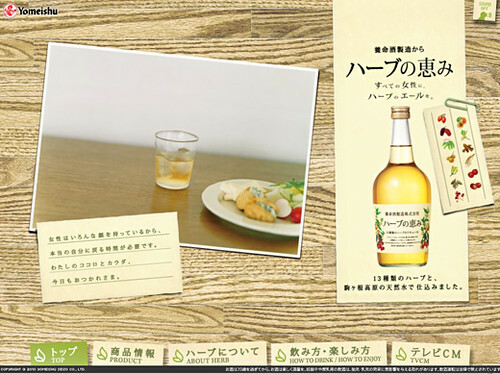 Herb no Megumi means like a blessing of herb… It’s a spirits made from a lot of oriental herb. You can enjoy the spirit mix with soda, water, hot water, on the rock or straight. 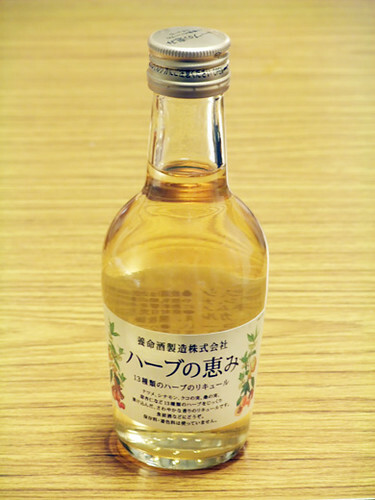 Yomeishu company is famous for medicinal spirits. Herb no Megumi is milder one.